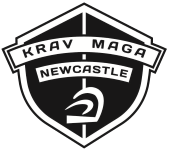 Welcome to Krav Maga Newcastle, as an Official Krav Maga Alliance school we offer Internationally Recognised training and gradings in Authentic Israeli Krav Maga. Krav Maga Newcastle caters for all abilities from total beginner through to advanced practitioners. Your First Krav Maga class is FREE! "Three Krav Maga Classes a week in Newcastle"